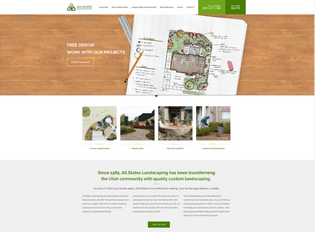 All States Landscaping is a Utah based landscaping company that offers an array of services. The services at All State Landscaping range from yard and deck maintenance, landscape design, hardscape design, water features, and much more. Moreover, they work with a variety of clients around Utah to bring about lawn and landscaping beauty. Adaptivity Pro is an emerging force on the Utah web design and Internet marketing platform. Since 2004, when CEO Eric Morgan found the company, Adaptivity Pro has been helping a plethora of businesses make their mark on the Internet. These clients have seen their rankings rise organically and have experienced an increased amount of visitors who are specifically looking for their products and services. As Adaptivity Pro continues to gain new clients and keep old ones, the company will carry on its steady path of expertise and accomplishment.